The Center for Science in the Public Interest (CSPI), an activist group known for nuisance lawsuits related to health issues and scaremongering just about every food in the modern world (1), is demanding that the U.S. Department of Agriculture put warning labels on...bacon. That's right, though every reputable health body has debunked the weirdly pseudoscientific claim by the International Agency for Research on Cancer (IARC) that sausage and other processed meats will cause more cancer, CSPI, a self-appointed corporate "watchdog", is ignoring all of that and doubling down in their efforts to raise money terrifying the public they claim to serve. They must hope that their donors don't understand how flawed the IARC paper was, and that all donors will see is the hysteria promoted under the CSPI brand of twisted consumerism. Think coffee causes breast cancer? That food coloring causes ADHD? You do if you listen to CSPI. (2) Name a fringe position related to food and CSPI, under the guidance of Ralph Nader acolyte Dr. Michael Jacobson, has embraced it over the last 46 years. They have never liked the American Council on Science and Health debunking their mystical health beliefs, one time they even paid an Earth Day biographer a lot of money to write a hit piece on us because we debunked their nonsense claims about coffee and their endorsement of the Feingold diet, a fringe belief about food dyes which now has around the same credibility as trepanation or that shaking a baby will cure scarlet fever. 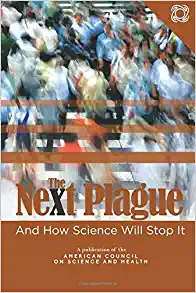 (3) But science and reason clearly won that fight, they look loony and we are regarded positively by people who want to separate health scares from health threats. The war against evidence-based thinking by CSPI goes on. However, IARC probably wishes CSPI would leave this one alone. The UN group of hand-picked scholars (they don't pick the best experts, participants must match an ideological litmus test) (4) have been scrambling to shore up their credibility after they endured scorn from the media and the public for intentionally conflating hazard and risk on this issue, despite the fact that they are unable to calculate risk. As the joke went in scientific circles, IARC did more to promote skepticism of p-values and cherry-picked epidemiology with one monograph than four years of statistics classes could have accomplished. The blowback was so severe, and the belief that they were now inventing carcinogens to stay relevant became so common, that for their next paper, on coffee, they did something they have never done with hundreds of compounds; they reduced the hazard classification. Yet they had hinted they were going to raise the hazard classification, just like CSPI had always wanted. Clearly that was a public relations move designed to head off criticism that they manufacture health scares. So at least one part of breakfast is safe? No, it is all safe, despite what CSPI tries to claim about eggs, sugar, bread, coffee and now bacon. It's not consumer advocacy to claim everything causes cancer, it is cynical exploitation. Still, money-based evangelism aside, how can they not have learned about science in all these decades? It's a mystery, but a leader having an advanced degree is no guarantee of rationality, as we have seen with the bizarre science and health claims of Dr. Jill Stein during her ill-fated third-party presidential effort. Like IARC itself, CSPI is a 1960s anachronism scrambling to stay relevant. IARC's original intention was to identify possible hazards for further study, not to make policy by default the way CSPI wants it done. The IARC classifications allow chemicals with seven orders of magnitude difference in the dose required to cause cancer to be placed in the same category. That means to IARC, 1 hot dog is the same as 10,000,000. It is nonsensical to the public but CSPI and other groups now raise money claiming that Oscar Mayer bologna is as dangerous to the public as cigarettes or mustard gas. To help in their cause, they shamefully seek to create manufacture "weight of evidence", by invoking groups such as Harvard T.H. Chan School of Public Health, who will embrace any health fad, and health metric organizations no one ever heard of before being mentioned in CSPI documents. They have had success, recently pestering FDA to issue a tepid voluntary warning about salt (5), but they seem to feel like their days of woo-based opportunism are over. “We recognize that the chances of the Trump administration taking advantage of this opportunity to protect the public health are slim,” said Jacobson in their article. In other words, to Jacobson their ability to manufacture food fallacies may be gone when a Democrat is not in the White House. Which doesn't make Democrats sound all that great. Luckily for the people that Jacobson doesn't represent, we are here to educate the public regardless of their political persuasion. "I’ve had grants from anyone who’d fund me (meat, milk, eggs, NIH, USDA, AHA, foundations, and family — if they had offered) as long as they honored my professionalism. I served on advisory panels for everything from eggs to avocados. But the studies were mine, the data were mine, the analysis and interpretation of the data were mine, and the writing was mine. No one told me what to think or say or do. I’ve trained 10 PhD and 3 MS students, published 92 peer-reviewed papers, 26 book chapters, 13 symposium proceedings, and served on a variety of panels and committees. Today I am proud to be funded by the egg industry using science and facts to correct the damage done by you and your paternalistic colleagues who would ban eggs along with almost everything else." "So tell me, Mike, what new knowledge have you generated from original research? Who of the next generation of scientists have you mentored? How many students have you taught? How much service and leadership have you provided to your profession? You try to negate the honor and character of those you don’t even know. They are just media fodder for the CSPI donation machine. 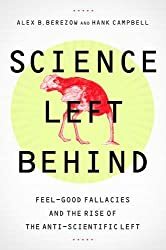 They are “biased” because they do not fall into lock-step with your dogmatic beliefs, they do not succumb to your media-hyped scare tactics, and they do not suffer fools who unashamedly proclaim, “CSPI is proud about finding something wrong with practically everything.” (Washingtonian magazine, February 1994)." (2) His own employees don't. Dr. Jacobson got rid of the coffee machine in the office and a third of his 60 employees went nuts and he was forced to recant. So at CSPI it's "do as we sue about, not as we do." As a former Army officer and a guy who's only even had one speeding ticket in his life (I tried to contest, but scheduling prohibited it - I would have gotten off) you can imagine how unhappy I was to be smeared like this. But smears against scientists are the mindshare CSPI sues and spends to get, so I am not all that surprised one of their supporters does the same. I am surprised that Boston Globe doesn't have a social media policy that prohibits someone claiming to be their journalist from libeling a third party when a scientist notes she is wrong. Did she ever apologize? No, that would make her ethical. And neither does CSPI. (4) Also not new. 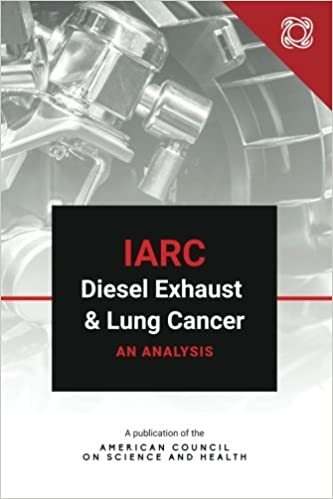 See our analysis on their finding of diesel emissions from 2012 (IARC Diesel Exhaust and Lung Cancer: An Analysis), which has led to false claims by the outgoing EPA that pollution causes acute deaths in America. (5) Debunked in our book How Toxic Is Salt?